Industrial 2-stage motor with low noise emissions. Large dust sealed switch, cord wrap handle, and easy conversion to blower. 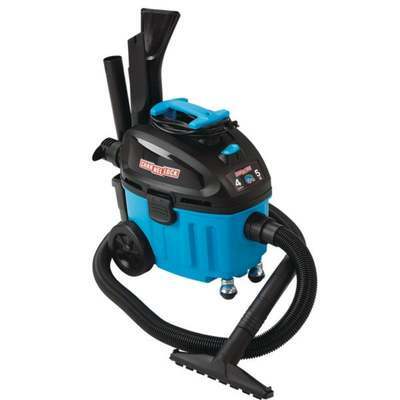 Includes hose, fine dust cartridge filter, dust bag, foam sleeve, utility nozzle, and crevice tool. Nozzle 53 CFM, Motor 112 CFM, Water Lift 76 In.